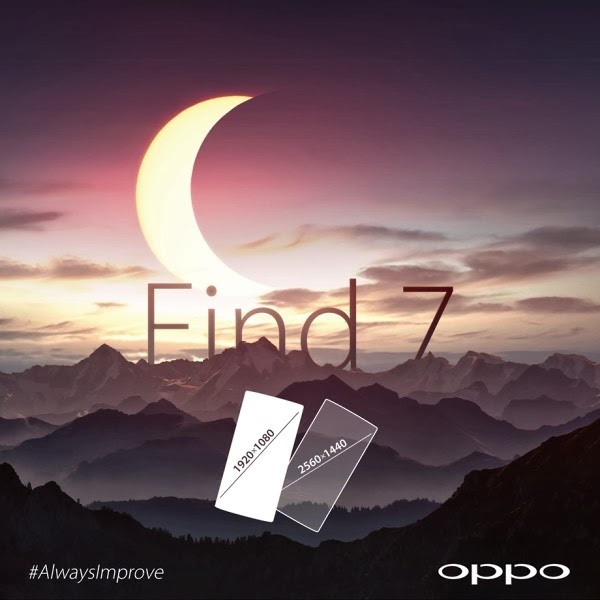 The latest Oppo Find 7 teaser officially confirmed that the device will be available with two different display resolutions. As previously rumored they include Full HD (1920 x 1080 pixels) and QHD (2560 x 1440 pixels). Rumor has it that the version of the smartphone with a QHD display will feature a Qualcomm Snapdragon 801 SoC and 3GB of RAM. The lesser model with 1080p display on the other hand, is tipped to ship with Qualcomm Snapdragon 800 silicon and 2GB of RAM. In addition to a duo of available screen sizes, Oppo Find 7 will have a removable battery.The device’s camera is also quite a stunner. Oppo Find 7 will be officially unveiled on March 19 in Beijing.